With carto editor I could add feature but now in carto builder I don't know how to do it. Where is the button "Add feature"? Now you can add and edit your layer features in BUILDER using the Geometry edition feature in CARTO BUILDER as explained in this guide. On the one hand, you can create a new map with an empty dataset and start adding new geometries/features. Do notice that as soon as you add one, the rest will be have the same geometry type (point, line or polygon). On the other, you can edit points and/or edit/remove vertices of polygon/line features and its thematic data after clicking on them. Finally, something to point out is that only BUILDER layers without any analysis attached could be edited in this way. Source layers could be accessible if the user can drag the layer node out. Add feature to Carto builder. The CARTO Builder does not have this option. According to CARTO, it seems that the current version of CARTO.js (v3.15) is not fully compatible with the Builder. Not the answer you're looking for? Browse other questions tagged carto gui or ask your own question. Is there a way to get a viz.json url from Carto Builder? 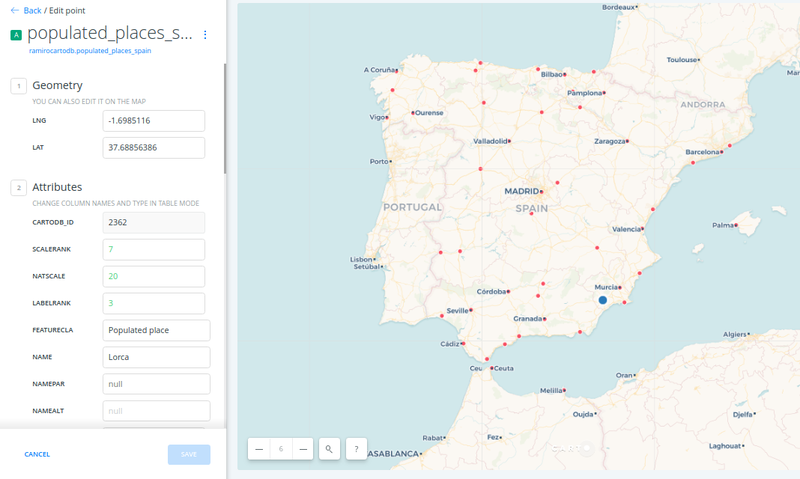 Geocoding/Georeferencing with CARTO BUILDER possible? 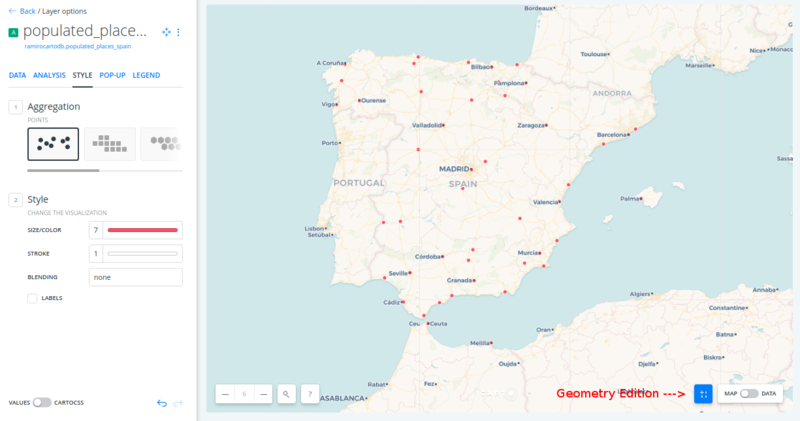 How to add points/lines/polygons to empty layer in Carto Builder?